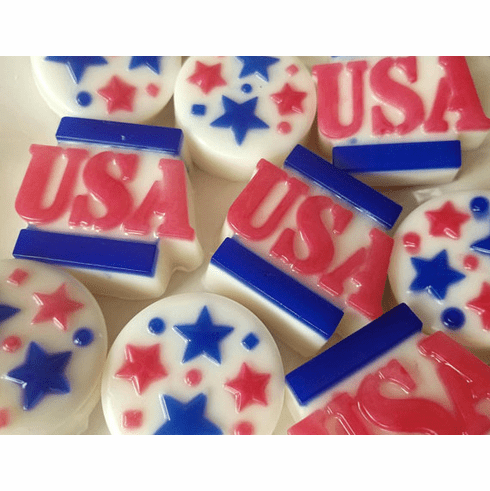 Spruce up your 4th of July with this set of 10 patriotic soaps. You will receive 6 red and blue stars and 4 USA soaps. Each soaps comes inside a cello bag that is tied with red or blue raffia ribbon. Each soap weighs approximately 1.5 oz. If you need a personalized label, just let me know at check out. The order ships via USPS Priority mail.